Ocean Springs is a quaint small town with an artistic downtown shopping area. It is centrally located between Biloxi and Pascagoula meaning no matter if you work at Keesler Air Force Base or Ingalls Ship Building living in Ocean Springs would be a short commute. 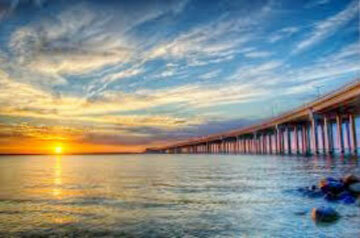 If gambling is your thing the casinos are just a short drive over the Scenic Biloxi Bridge. Ocean Springs rated a level five school district. While just minutes from all that Biloxi, D’Iberville, and Gulfport have to offer living in Ocean Springs gives you that small town feeling. The town has a reputation as an arts community. Its historic and secluded downtown area, with streets lined by live oak trees, is home to several art galleries and shops. It is also home to a number of ethnic restaurants relatively uncommon in surrounding communities. Ocean Springs was the hometown of the late Walter Ingals Anderson, a nationally renowned painter and muralist who died in 1965 from lung cancer. The town plays host to several festivals, including its Peter Anderson Festival and The Herb Festival.